With everyone else showing wonderful yards I wanted to give the apartment/condo dweller some options. 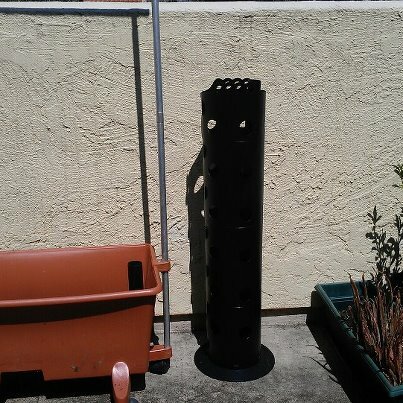 With fresh food getting expensive, I have decided to give a try at growing my own on my westward facing patio. I have three types of planters to see which is better. 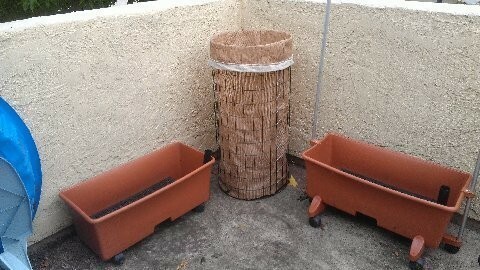 One Phytopod Vertical Garden (in the corner) and the 2 EarthBoxes (on either side) and one 3 Ft Tower. 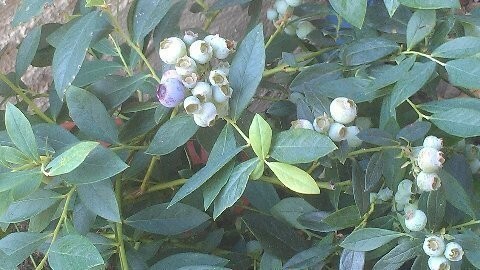 The Southern Blueberry bush is doing well and providing me with great Blueberries. The Phytopod will have vegetables. 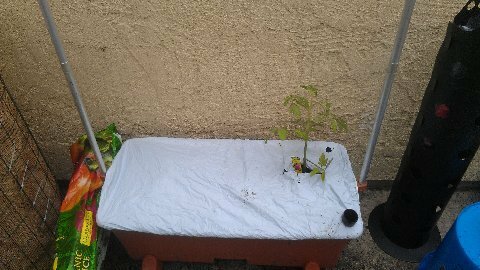 The EarthBoxes will have Tomatoes in one and Bell peppers brussel sprouts in the other. 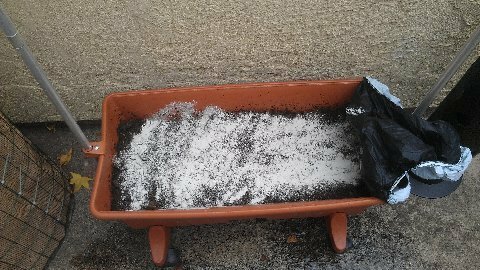 I need to bring up soil for the planters. 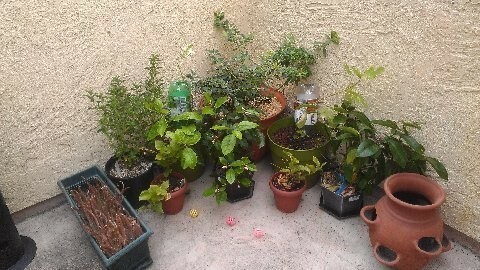 The other corner of my patio is for my fruit trees and blueberry Bush. 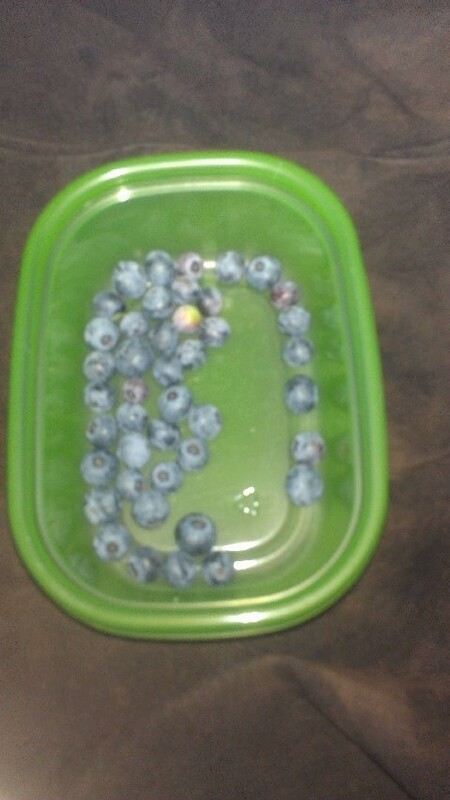 One Blueberry Bush in the corner. Then two Fig trees, on either side of the Blueberry, that I am crossing my fingers for. A Stevia plant, Jasmine, a Meyer Lemon dwarf tree full of fruit, the second Jasmine and the other Meyer lemon dwarf tree. 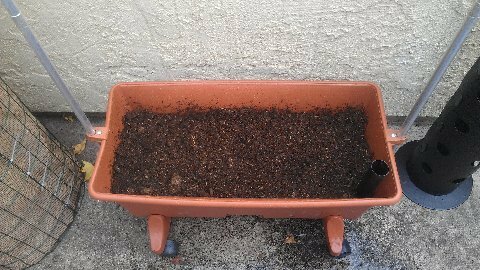 I have yet to plant the Strawberries in its planter. The green rectangle planter has the beautiful medicinal aloe vera plant is not so beautiful, they are not doing well. They should perk up now that I will be on the patio more and they will not be left to fend for themselves. I put three gallons of water in the bottom, then I brought up a 5 gallon bucket filled with soil, took two trips from truck. Added half a packet of the All Natural Dolomite, as suggest by the lady who I bought the planters from. 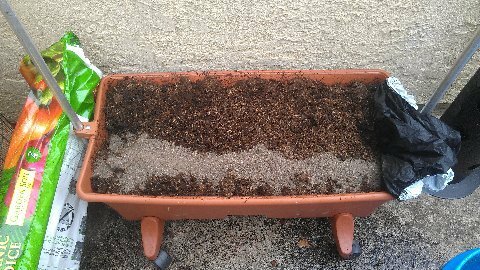 Added the rest of the bag of soil and pressed down in the soil on both sides as shown in the YouTube how to plant video. 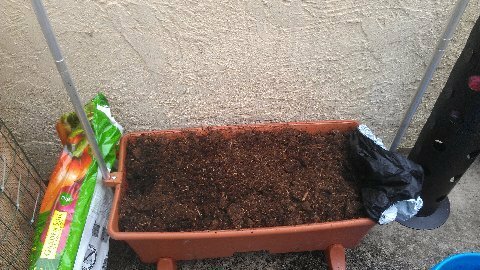 Added half a packet of the Special plant Food 7-7-7. Then covered with the cover. And planted a Heat Master tomato plant. I want a Beef Steak or Big Boy, still looking.